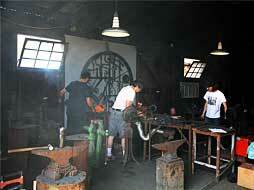 Blacksmith Shop will be open to try the projects yourself. Please note that lunch is “on your own”. 6:00 pm - Iron in the Hat and Auction - bring your “Iron in the Hat” donation.